While some of the ways we’re going to discuss have been a classic over the years and will probably continue to do so, others need to evolve with the changing times. Banner ads, for example, are rapidly declining in popularity and the subscription model is gaining a stronghold. A lot has been written about app fatigue and revenue stagnation. But most of those prophecies are just not correct. Despite the growing crowd, app store revenue is not coming down. So app marketers – don’t lose heart. 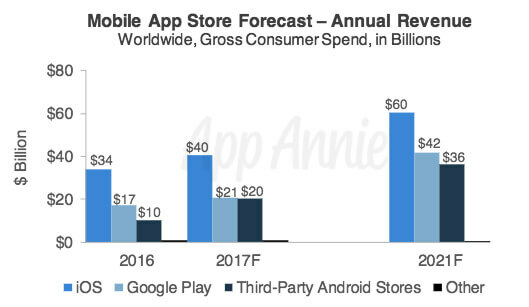 To back up that claim, here are some numbers from App Annie. In 2016, consumers globally spent $62 billion in app stores. In 2017, this number rose to $86 billion. Based on an average CAGR of 18%, this indicates that app store revenue will shoot up to $139 billion by 2020. The app economy is showing no signs of slowing down. App fatigue will only wipe out apps that have little to no value to offer. But apps that help consumers solve a problem and save time or money, excite them and provide great experiences will always make money. That’s probably a big reason why Apple is introducing Search Ads in non-English speaking countries in its iOS 11 update. It’s a good sign for the market. Another way to put that is, user engagement and retention will be more significant than user acquisition. Keeping the users you already have and giving them a great experience consistently will help turn them into paying, and loyal, long-term customers. spend larger amounts per visit and shop more at peak seasons. According to Bain And Company, this happens because the comfort level they have with your app increases after each purchase. Repeat customers are also bigger brand advocates as they share and recommend your app more often empowering your app viral marketing efforts. The subscription model of mobile app monetization has caught on like never before with app users. Both Apple and Google are actively encouraging the growth of it. App Store subscription revenue was clocked at $2.7 billion in 2016 and to make things better, Apple lowered its cut of subscription revenue to 15% from an earlier 30% share, and Google was quick to follow suit and reduce its cut too. Subscription is a more evolved and current form of mobile app monetization, and undoubtedly one that has the ability to retain users and create a steady stream of revenue. Streaming apps like HBO NOW, Netflix, Pandora, and others are headlining this trend. According to a Sensor Tower report, streaming apps earned the highest revenue in non-gaming apps in 2016, with Spotify leading the charge, with the highest gross earnings on both Apple App Store and Google Play Store. The classics never go out of style. When it comes to mobile app monetization, this fundamental truth can be applied as well. In-app purchases and freemium models have always been popular with users and marketers alike. They appeal to a large audience because they don’t involve any cost upfront and let users take their time and engage with the app first before they are comfortable spending money. Consider these numbers to get a perspective. 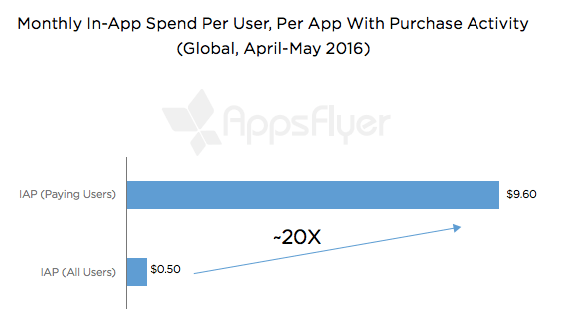 Only about 5% of app users make in-app purchases, and yet, they spend 20 times more than all the paid app users. From 2015 to 2020, in-app advertising is set to its net app store revenue from 58% to 62%. Similarly, Freemium mobile app monetization model lets users use a number of the basic app benefits for free for as long as they like. Once they have built trust, users can opt for a paid upgrade to a better version of the app with premium benefits like extra content and services. 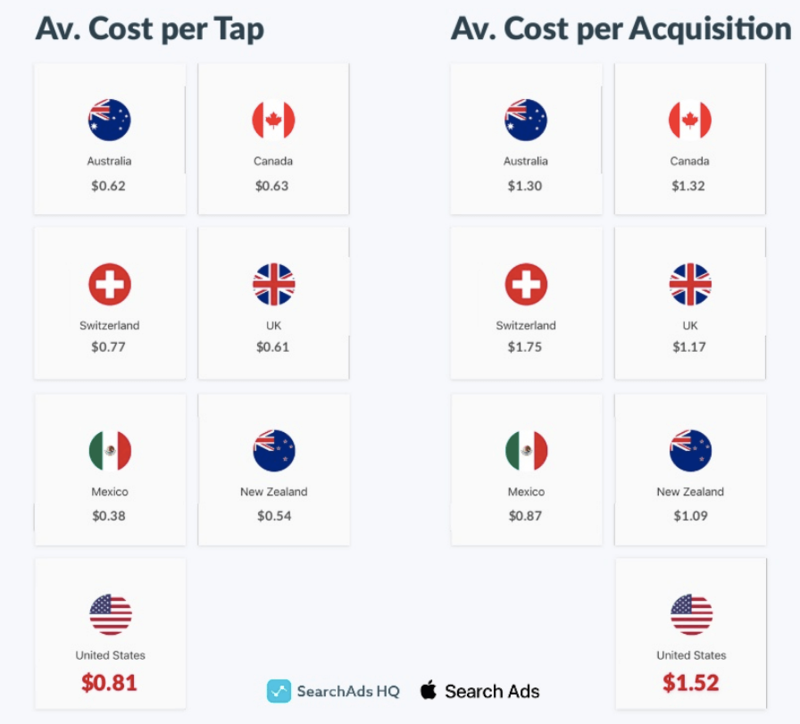 Both in-app purchases and freemium have been a significant source of app store revenue and will continue their winning streak through the coming years too. You heard that right – banner ads are a no-no for the future of mobile app monetization. With smartphones becoming omnipresent and apps have been around for a decade now, users have evolved immensely. They are much more discerning about what they like and what they don’t. You are more likely to get into Harvard than clicking a banner ad. Yes, that’s a tough one. The average overall CTR (click through rate) for display ads in 2017 was 0.05%. Smartphone users have limited screen space and hence, no patience for intrusive ads that interrupt their experience. So mobile publishers have to find more effective and less intrusive app advertising methods. In the same vein, a mobile monetization strategy of asking users to ‘pay to remove ads’ is another strategy that won’t do well. Today’s digitally fluent app users have plenty of options to choose from and aren’t very likely to pay a premium just to remove ads. If you want them to pay for a premium upgrade, you need to offer more value. Generating revenue is usually the final goal of creating an app. But just getting your app out there doesn’t guarantee success. 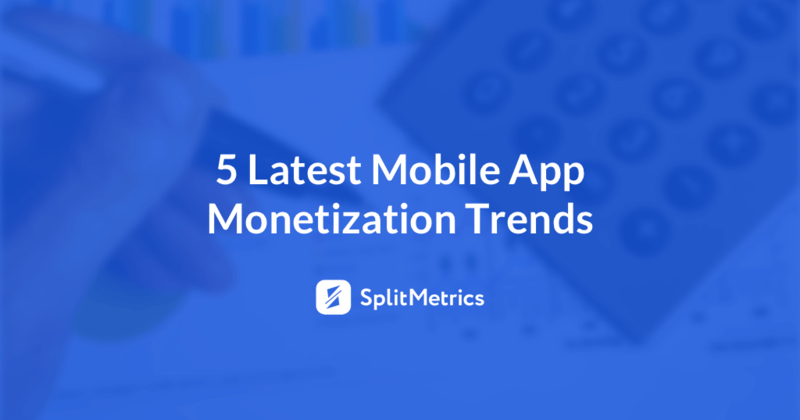 A good mobile app monetization strategy is a key to ensuring a steady flow of revenue. Knowing the trends helps mobile publishers to stay on top of the app economy by understanding what works and what doesn’t with the empowered app users of today. 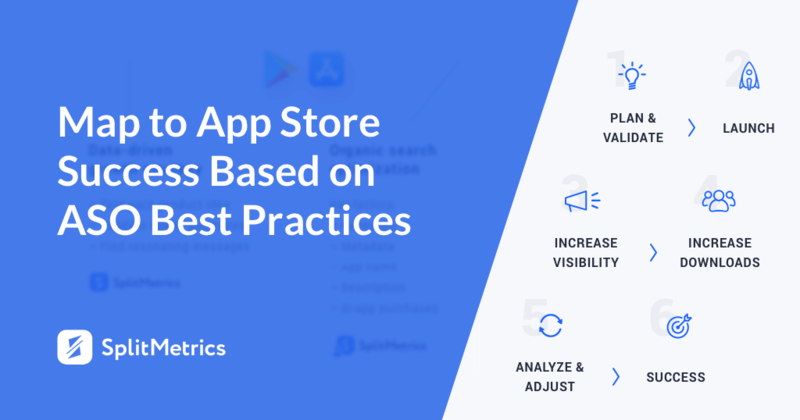 The above-mentioned trends should help you figure out what the top hits of the season are and which one is most suitable for your app, ensuring that your app never stops being profitable. 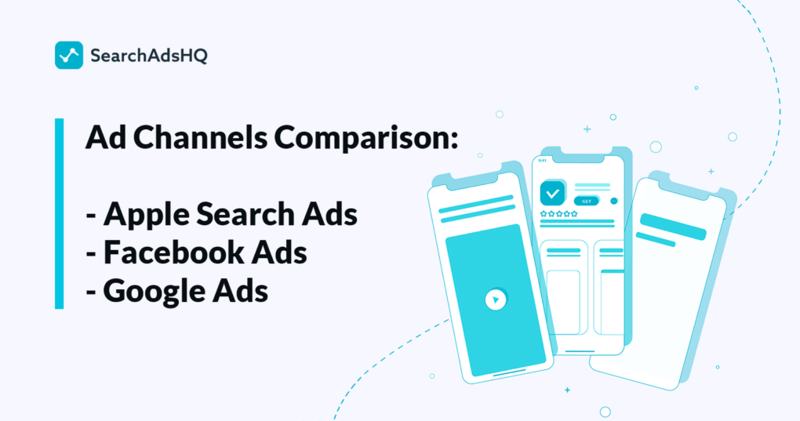 Mobile A/B testing gives publishers a great tool for getting insights into users behavior and tastes including preferred mobile app monetization model. Split-tests can not only help you determine an optimal price for your app but also clear out whether you need to choose a freemium model. Mind that in the course of app pre-launch stage, such price A/B tests take on particular significance. In-App Advertising, Premium Upsells, and Freemium Will Remain a Classic. In addition to that, ther are monetization SDKs that do work in addition to those. For exmaple – GlobalHop SDK.